Your one stop shop for jump suits, pants, jackets, webbed gloves and of course the super cute Merlin's Baby "jump" Suits. Opening hours:Monday-Thursday, 8:30-3:00, Friday closed. Check us out on Face Book and see the new Merlin's baby "jump" suits. So cute for the future skydiver you just got to know. 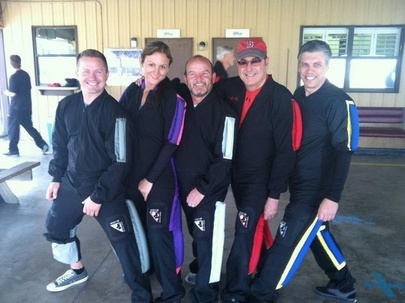 Merlin Suits has been making quality skydiving jumpsuits for over 23 years. Along with our popular sport line we are also working with the unique needs that the military requires. We will continue to improve our product through the feedback we receive from our customers, and always encourage any feedback, positive and constructive. We have always believed that input from our customers is one of the best, if not the only way to make our product the best it can be. Production time changes all the time, so please check for the current production time of your Merlin Suits product. We will ship anywhere around the world! We encourage you to take advantage of the rush services when available. Merlin Suits is located on the DeLand Airport in DeLand, FL. Also known as Sidney H. Taylor Field, the airport was started by the City of DeLand in the 1920's. After the first asphalt runway was built in 1936, the Navy came to DeLand in 1941 and the DeLand Naval Air Station was opened in 1942. After the Navy officially closed the field in March of 1946, the Navy returned the airport to the City of DeLand. Since then, parachuting activity and several parachute companies have established themselves and skydiving has become a strong industry in the DeLand community. Merlin Suits was originally started in March of 1993 pretty much by accident. After repairing many jumpsuits, the previous owner Christina Roberts decided to try her hand at making jumpsuits. After much trial and error the first Merlin Suit was sold. Over twenty four years later we are still making jump suits, and we are always working hard to provide a superior product. In December of 2007 the company changed hands, and Ulla Berger whom worked for the company at the time, became the new owner. We are still making the same high quality jump suits, and you are still talking to the same people when you call us, so for you nothing has changed. Dedicated to quality, Merlin Suits has always focused on making jumpsuits that stand up to the needs of skydivers. Whether it be 8-12 jumps a day, packing in your jumpsuit, or high speed free-flying, durability and quality have always been first on the Merlin Suits agenda. We strive to structure our production to meet the needs of our customers, while working hard to ensure speedy deliveries. "I love the padded knees...they create more surface area and more power!!! Pro-Comp all the way!!! Love 'em." "I received my suit and I LOVE IT! Just how I want it.... I fly perfectly with it... Later I will send you some pictures... THANK YOU! I want a camera suit too, so as soon I have the design, I will let you know!" - Maximiliano J. Affialo B.